Health magazines and journals are always full of various benefits of fiber and always advice you to include fiber in your diet. Most of the people take food that is rich in fat and carbohydrates but containing very less or no fiber. This is a wrong habit. You must include enough proteins and fiber in your regular diet. This fact is not very much known to the people and therefore they fail to include fiber. It is time that you all realize the importance of fiber and how it helps in losing excess body weight and increasing your energy levels. Dietary fiber is of two different types, which are water soluble and water insoluble. Water insoluble fiber helps in the digestion of food and also the proper movement of food through the intestinal tract. Water soluble fiber is essential for controlling the blood sugar levels. It is also good for lowering the levels of bad cholesterol in the blood. 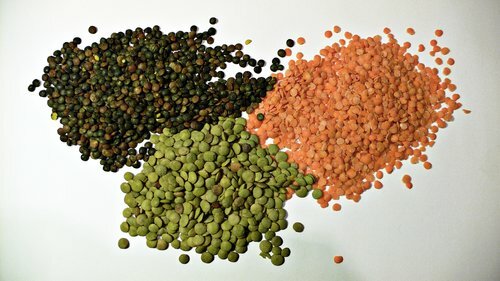 Oranges, barley, carrots, apples, lentils, oats and beans contain this type of dietary fiber. Having foods rich in fiber make your stomach full and provide you a feeling of fullness. This reduces your hunger and prevents you from overeating. So, if you are on a weight loss diet, have food rich in fiber. This way you can easily lose weight. Moreover, fiber is also low in fat. So you can consume as much fiber rich food as you want without gaining any weight. Fiber is one form of carbohydrate and is usually made in the plant cell walls. No vitamins or calories are found in either water soluble or water insoluble fiber. Fiber is also not very easy to digest. But still it is very much needed for your health and you must include it in your regular diet. Some of the benefits of fiber are as follows. Psyllium husk is a fiber which helps in removing fungus and yeast from your body and prevents them from getting excreted by the skin. If they are excreted by the skin, they may cause acne or rashes on your skin. Majority of us think that as one advances in age, we start getting wrinkles on the skin and the skin becomes dull. This is thought as something that cannot be prevented. But it is possible for you to prevent the appearance of wrinkles on the skin and look your best even when you get aged. For this you have to take the right step at the right time. Your skin is always exposed to pollution, dust, dirt etc and these have a great role in making your skin dull and lifeless. By taking a healthy diet you can keep your skin healthy and glowing. Along with minerals and vitamins take care to include adequate roughage in your daily diet. The fiber here plays the role of a broom, cleansing the body and removing all the toxins, excess fat and waste, thus rejuvenating your skin. Foods rich in fiber are also very effective for reducing the risk of hemorrhoids. You can even reduce the risk of strokes by having fiber rich food, as founded by the researchers. Having a healthy diet provides you a healthy body as well as a glowing skin and a healthy hair. If the diet you take is not healthy and is deficient in essential minerals, vitamins and fiber, this will reflect on your hair and you will suffer from hair loss and many other problems related with hair and the scalp. So include all the vitamins, minerals, fibers and other nutrients in your diet and stay away from various hair problems. One of the best uses of fiber rich food is that it stays for a longer period of time in your stomach. As a result, the body is able to absorb all the nutrients, including vitamins, minerals etc from the food. As you know, vitamins and minerals are very essential for the normal functioning of the body. So your body benefits a lot by absorbing them wholly. Soluble fiber lowers the breakdown of carbohydrates and therefore reduces the absorption of sugar. This helps in controlling the blood sugar levels in your body. Consuming food with high fiber content helps in reducing the formation of gallstones and kidney stones. This is probably because of the efficient way in which it controls the blood sugar levels in the body. Fiber does not contain any calories in it and therefore foods rich in fiber do not cause any increase in fat and cholesterol. If you are on a weight loss diet, it will be better for you to take whole meal breads instead of white breads, as they contain very less fat and calories compared to white breads. Moreover, foods rich in soluble fiber stay for a longer time in your stomach and this helps in reducing your hunger. As a result you will consume less food and thus can control your weight. So, if you want to lose weight effectively, have fiber rich food. An important benefit of insoluble fiber is that it makes removal of waste products from the digestive tract more efficient and fast. This is because the insoluble fiber has the ability to soak water and swell in the digestive tract. Then it moves forward and as it moves, it takes away all the waste materials including those on the walls of the digestive canal, and cleanses it. Other than preventing bowel problems like constipation, it also removes all toxins from your body along with the waste products that are created in the digestive canal. This is regarded as the major and most important use of fiber.